The Sunday before the first in Advent is known as Stir-Up Sunday. This is because it embraces the British tradition of making the Christmas Pudding and was introduced, apparently, by Prince Albert, husband of Queen Victoria. 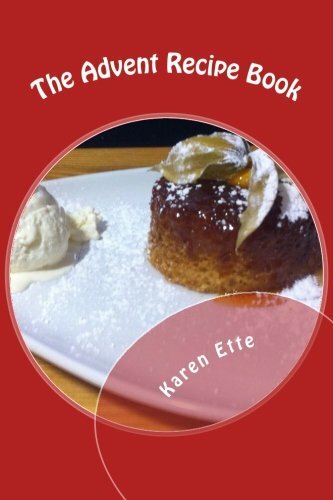 It was a time when families got together to make the pudding and where children learnt from their parents and grandparents what goes into the Christmas dessert. Most of us now tend to buy our Christmas puddings and will never experience the fun of stirring the pudding and popping in the odd coin which will be found on Christmas day, bringing health, wealth and happiness to the family for the coming year. .Excita, quaesumus, Domine, tuorum fidelium voluntates: ut divini operis fructum propensius exsequentes, pietatis tuae remedia maiora percipiant: Per Christum Dominum nostrum. Amen. A traditional Christmas pudding has thirteen ingredients to represent Jesus and his disciples. When family members take a turn in stirring, they should stir from east to west to remind them of the wise men who visited the child Jesus and brought him gifts. It is also customary to make a wish when it’s your turn to stir. Stir in the eggs and brandy and mix together, with everyone taking a turn to stir the pudding. Put the mixture into 4x1pint pudding basins or or 2x2 pint basins which have been greased well. Cut a circle of baking parchment for the top of each and wrap foil over the basins. Make a string handle from one side of the basin to the other so it's easier to pick the basin out of the pan after cooking. Put the basins in to a large steamer or, if you don’t have a steamer, use a large pan and put inverted saucers into it to stand the basins on. Pour in boiling water, about a third of the way up the basins, then put the lid on and steam away. This will take about 5-6 hours and you will need to keep checking the water and replacing it so that the pans doesn’t boil dry. When cooked, store somewhere cool until you need them. You will need to steam them again for another 2 hours before serving , or, you could cheat and pop them in the microwave for a few minutes.